Two Australian radio DJs posing as Prince Charles and Queen Elizabeth fooled the staff at a London hospital Tuesday into giving them details about Kate's condition over the phone. Two Australian radio DJs posing as Queen Elizabeth II and Prince Charles called a London hospital early Tuesday and fooled the staff into revealing details about Kate's condition. The Duchess of Cambridge, formerly known as Kate Middleton, was admitted to King Edward VII Hospital Monday with “hyperemesis gravidarum,” or acute morning sickness from her pregnancy, according to NBC News. With a couple of fake British accents, Sydney’s 2DayFM jockeys Mel Grieg and Michael Christian got past a hospital receptionist and were transferred to Kate's personal nurse, the BBC reported. “She's sleeping at the moment and she has had an uneventful night,” the nurse told the pranksters. “She's been given some fluids; she's stable at the moment." “When is a good time to come and visit her because I’m the Queen and I need a lift down there,” Grieg asks as Christian barks in the background, pretending to be a corgi. “I would suggest any time after 9 o’clock would be suitable,” the nurse says. The DJs later apologized, and said the segment was done with the best intentions. "We're very sorry if we've caused any issues and we're glad to hear that Kate is doing well," Grieg and Christian told the BBC. A hospital spokesman called the joke “foolish” and “deplorable,” the BBC reported, and said the hospital is investigating its telephone protocols. This isn’t the first time prank callers infiltrated the royal family. In 1995 Canadian DJ Pierre Brassard, pretending to be Canadian Prime Minister Jean Chretien, was put through to the Queen when she was at Buckingham Palace, according to the BBC. After an extravagant royal wedding in April 2011 and months of pregnancy speculation, the St. James’s Palace confirmed Monday that the Duke and Duchess of Cambridge were expecting their first child, NBC News reported. 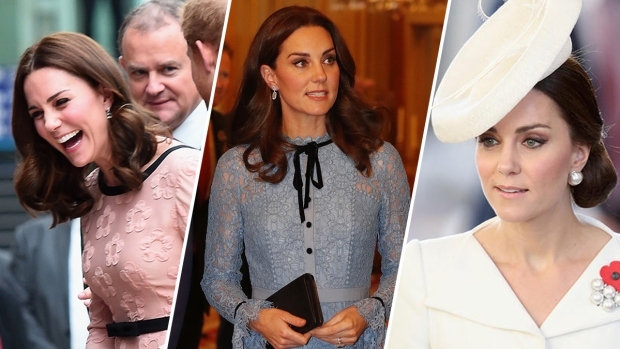 The Palace announced Tuesday that the Duchess will remain in the hospital, but that she is “continuing to feel better.” Kate is thought to be less than 12 weeks pregnant, the BBC said.